Objective: Play for the highest possible score using the difficulty settings defined in the challenge. Post a photo or video of your score in this thread. Scores must be achieved between April 1st through April 14th, 2019. Screen captures are not allowed as they are easily manipulated for falsified scores. Multiple submissions are permitted. The player with the highest score at the end of the competition is the victor! Play Rules: Games may be played on real hardware, Flashback or emulation, using any controller or keyboard, following rules and game settings as delineated in the Squad Challenge. You may chose your preference of DINTAR816's Pac-Man 8K ROM. Enhancements, rewinds and hacked versions of this game are not allowed. Difficulty Level: Default. Press FIRE to start. Message: Welcome to our 55th Squad Challenge! 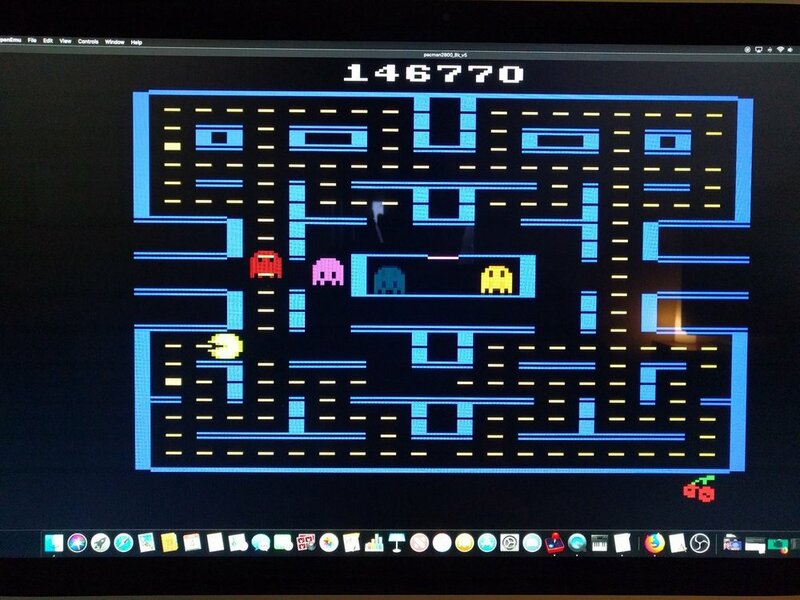 This time we're celebrating National Pac-Man Day on April 3rd by playing our first Atari Homebrew game in a regular Squad Challenge, Pac-Man 8K by DINTAR816! 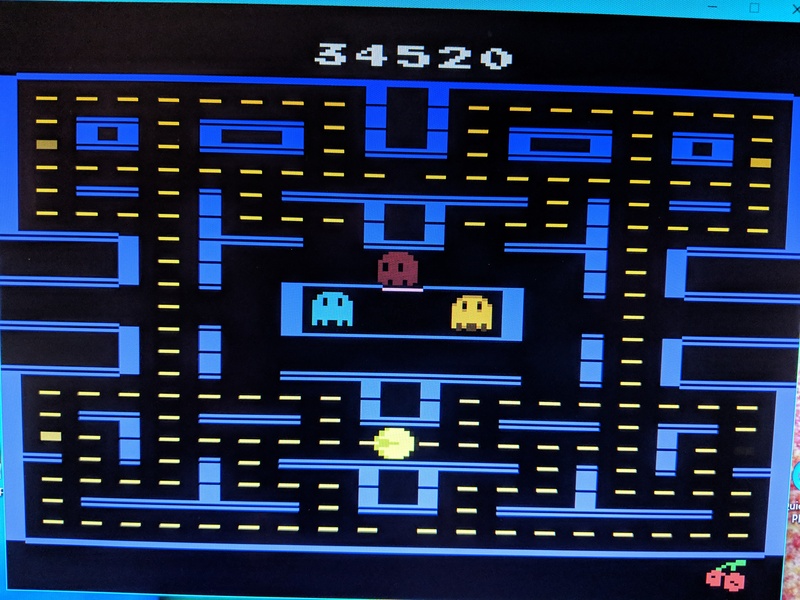 Pac-Man 8K shines in many ways that the original Atari 2600 Pac-Man release was lacking. DINTAR816 includes an arcade-like blue maze and black background, multi-colored ghosts and cutscenes just like the arcade version. 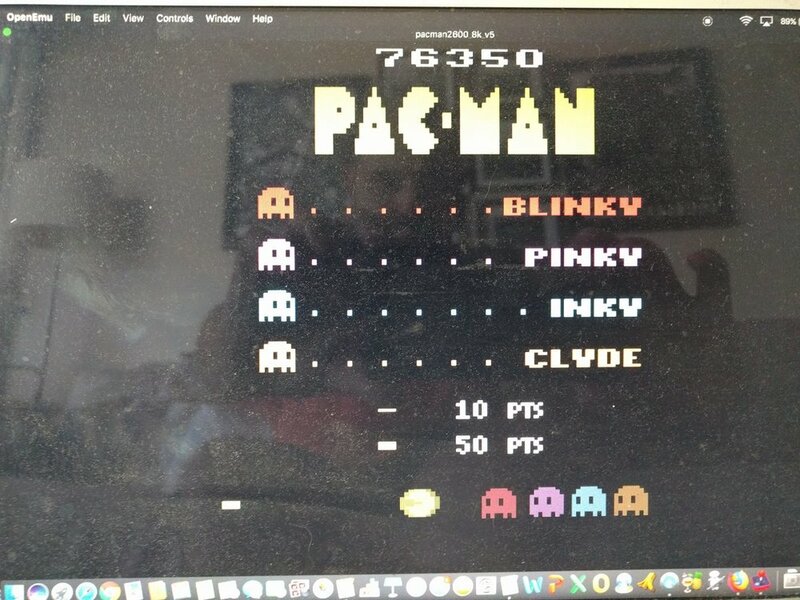 Many consider DINTAR816's 8K version of Pac-Man to be one of the best for the platform. While still not arcade perfect, the 8K edition is closer than Atari's official version. 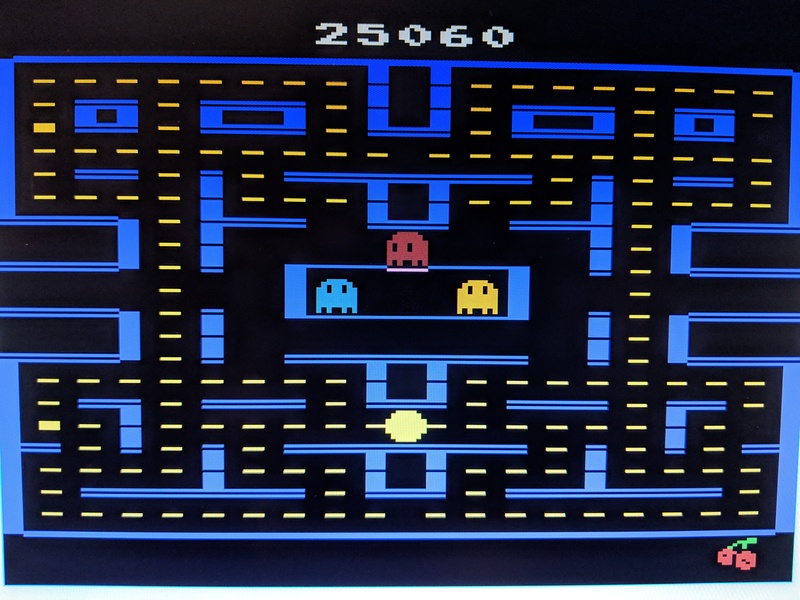 Pac-Man 8K can also be commonly found on Atari Flashback consoles and handhelds released over the past few years, so this homebrew can be found at Walmart, Target, Sam's Club, etc. We're venturing into Homebrew territory as a fun way to celebration National Pac-Man Day 2019! We're also celebrating AtariAge user DINTAR816's contribution to the Pac-Man legacy on Atari with this masterpiece. We owe DINTAR816 a debt of gratitude for the time, effort and passion involved in creating Pac-Man 8K. THANK YOU! Remember to celebrate National Pac-Man Day 2019 on Wednesday, April 3rd and good luck to everyone playing! NOTE: Our next High Score Squad Challenge will be for the TurboGrafx-16! We also have a special one-day event challenge coming up as well. Lap top emulator using a WiiMote until I get an decent USB controller. 11650 just to toss an entry in. This looks like one heck of a conversion! I'll give it a shot this week. It improves corning and plays even more closely to the arcade. Also, note: If you're playing on a console, the right difficulty switch controls normal and fast modes. Assuming we're playing in the "normal" mode that starts slow? The interview with Tod Frye clearly shows why he was the wrong person to handle an arcade conversion. The deadlines he was dealing with notwithstanding, if you don't get why exits at the top, maze layouts and color schemes are a big deal, you shouldn't be handling an arcade game. 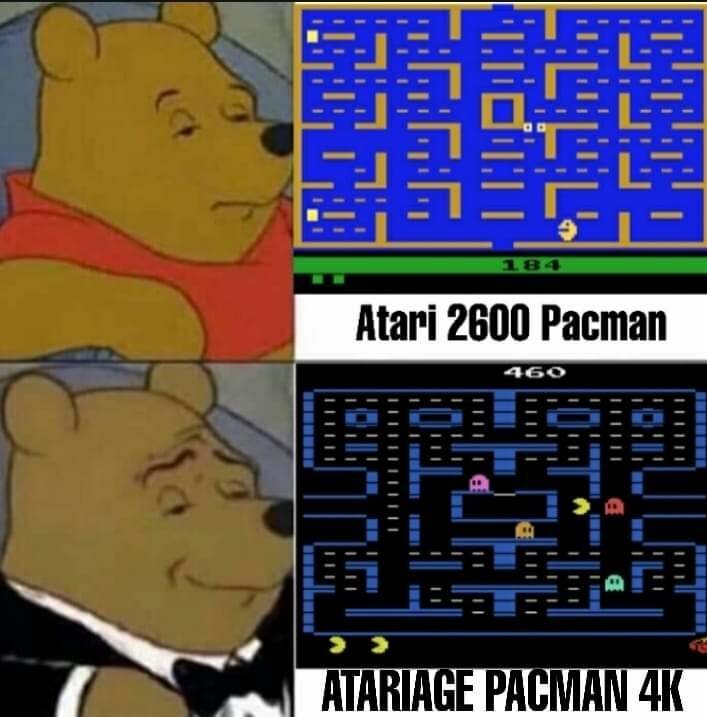 I say this as someone who grew up with 2600 Pac-Man and really enjoys that game. Not much of an improvement but might as well post it anyway. The challenge in figuring out strats is that the monsters reverse course more frequently in this 8K version. Fantastic score! I better get some more Pac-action! Correct, playing in "normal" mode that starts slow. I loved reading your insights on this. It's amazing how nearly 40 years after the fact, this is all right there to see. Why? Why? Why? Why wasn't this the first version of Pac-Man the 2600 got? This is AWESOME balls!! I've got to get this on cart some how. This is BEGGING to be played on real hardware. Here's my score so far. And I am including one screenshot only to provide a clearer picture of the score. It serves no other purpose. I've got to get this on cart some how. This is BEGGING to be played on real hardware. Man, I highly recommend either the Harmony cart, or Uno cart for 2600. You can play all of these homebrew games using those. Todd Frye had no clue, did he? He didn't get the idea that porting a hit arcade game meant you do everything you can to get as close to the arcade hit as possible. He'd never played the arcade Pac-Man. "People freaked out with exits at the top and bottom. I don't get that! ", he says. That's because those "exits" are not where the arcade game had them...at the sides. And they are "tunnels", not exits. "My maze was simple." Um, no, your maze was a mess and not accurate to the arcade. That maze was designed that way for a reason. 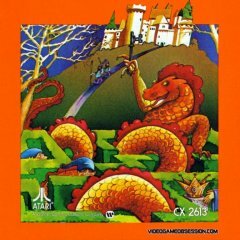 It gave the players a maze where strategy played a key role in surviving a single game for a long time. Changing the maze removed that strategy...and the reason why people actually played the game and why Pac-Man became a huge success. That and it has lovable characters each with their own personalities...none of which the 2600 received. Not poking but those comments were just an insight that the Pac-Man game he was playing in the video might very well have been the closest he got to how Pac-Man really was. "Colors are bright." That's how it's suppose to be. Very little flicker...a timing thing. However it is expected to see some flicker in 2600 games due to its nature. Bottomline...no game will be a huge success if money is the sole reason for which it is made. For a game to succeed, no matter what platform it is created for, it needs to be developed by those that love the game they are working on and not expecting any money at all. If that can be accomplished then the chances are that the final product will be a success. Money-for-profit should always come second in game development, not first. Gearbox, SCS Software, Giant, and many other indie developers are examples of this. A single game idea where the game was built in spare time with little to no financial support turned into some of the biggest modern franchises to date. Borderlands, Euro/American Trucking Simulators, Farming Simulators (now at 2019)...and just look at Minecraft. All key examples. I've heard Mr. Frye speak at PRGE about Pac-Man. He always says that "they had no idea they were supposed to replicate the arcade game" when talking about his approach to Pac-Man. He just felt he needed to capture the basic elements of the game: having a character run in a maze eating "dots" while being chased by ghosts. To me, at best, what Atari released is nothing more than a clone of the arcade game. I remember I was disappointed with how it looked back then but I did play it...until Ms. Pac-Man was released. Then I hardly ever played it. 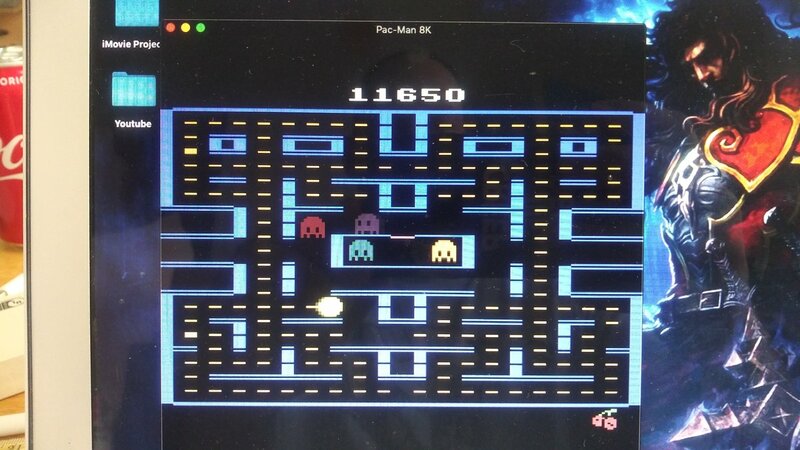 As much as it was not correct with the arcade game, 2600's Pac-Man does have its own charm here and there. Damn this game gets fast! It sure does! Blinky turns on the turbo boost near the end of each level, more so than the other ghosts. It's because #BlinkyDoesRoids. 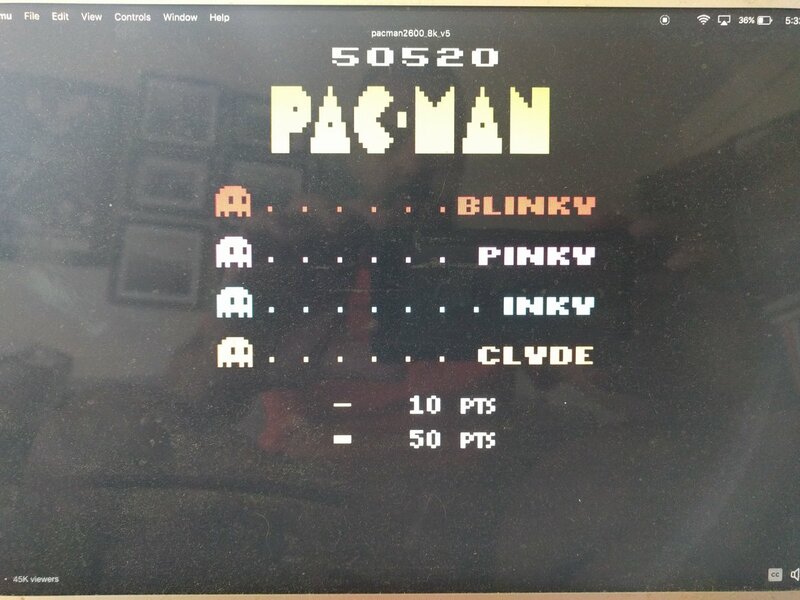 True story: I was playing the 8K version the other day when my wife arrived home from work. She watched for a while. When I died, I said what most of us have said: "Wow, if Atari had released this version, we would have all sh@t our pants in amazement". My wife: "This isn't the real version?". Me: "No, this is a homebrew". W: "Show me the real one". So I did. Her response: "Wow, that's terrible". Pac Man and Defender are the two games that shattered the illusion of Atari greatness for me. I was at that same show as TrekMD with Tod Frye. He's a nice enough man, but I don't think he'll ever admit any wrong-doing. It's always: "Atari policy on black backgrounds" and "Limited time" and "2nd player took up all memory". All bad choices. I think the Atari community would be a lot more forgiving if he'd just say "I'm sorry, I made some poor choices. I was new, and didn't have good feedback". Boom. Forgiveness would be his. All they had to do was get a group of kids to play test some of the games as they were being developed. I would think most kids at the time would have steered the developers in the right direction as the games were coming along. I never owned Ms. Pac Man for 2600 back then. I moved on to other systems by the time it was released. I was amazed at how good Ms Pac Man and Jr. Pac Man are when I started collecting. If Pac Man had that same quality, I probably would not have moved on. Most of the GCC 2600 games are incredible. Too bad they came along after a lot of games had moved on. I know it's so easy to go negative. I'm sorry. But I'm just being honest. I bought Pac Man and I played it a lot. What else could I do? That $30 was a lot of money for me back then. But I never liked the game. It's completely devoid of the charm of the arcade version. Tod Frye can stick that vitamin block in his fruit hole.